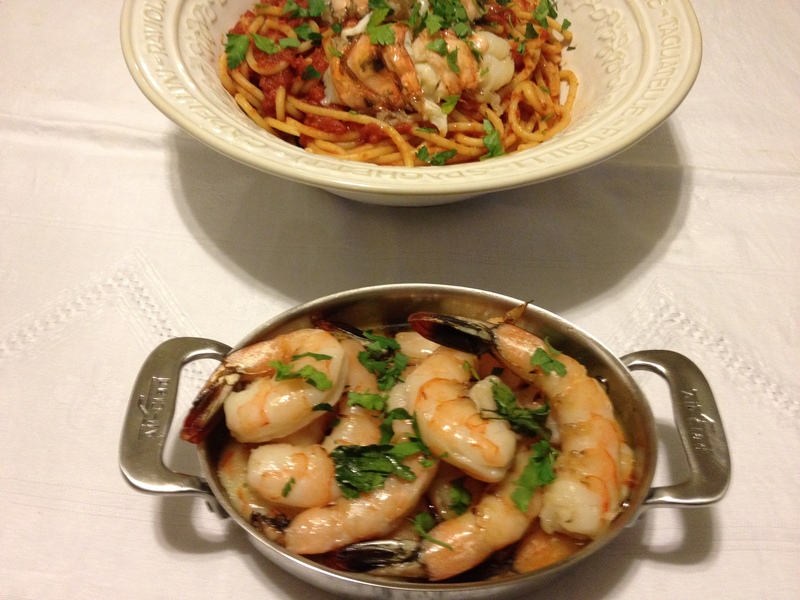 This week I am featuring two recipes, both seafood dishes and I am honored to have permission to bring them to you. 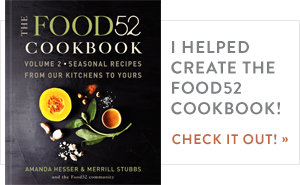 The recipes are from Amanda Hesser and Merrill Stubbs the founders of Food52. 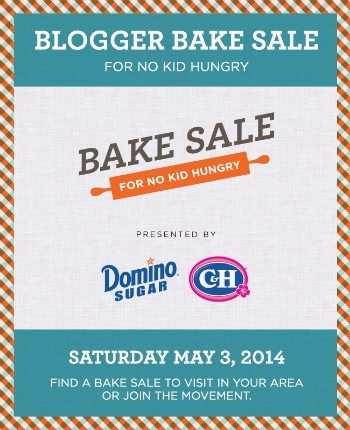 I discovered food52 a little over a year ago and it has been life changing for me. Amanda and Merrill brought their brilliant plan to start a website celebrating home cooks (like myself) to life a little over two years ago, and it’s now one of the most popular food related websites available on the internet. They have already published one cookbook, with a second coming out in October of this year as well as an IPad holiday App. 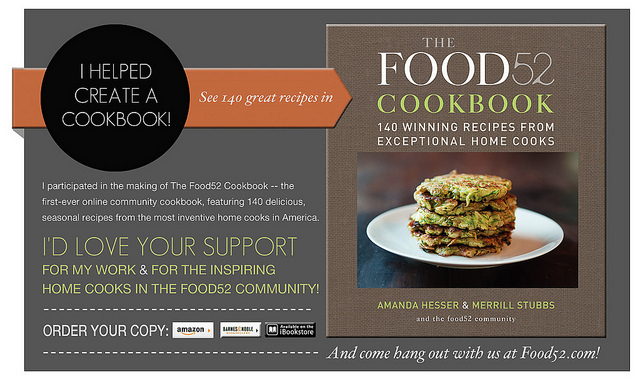 Check out Amanda’s recipes and Merrill’s recipes on Food52. Poaching fish or shellfish in olive oil is simple, and delicious. Add your favorite herbs and aromatics to the oil. The fish or shellfish are tender and and flavorful. 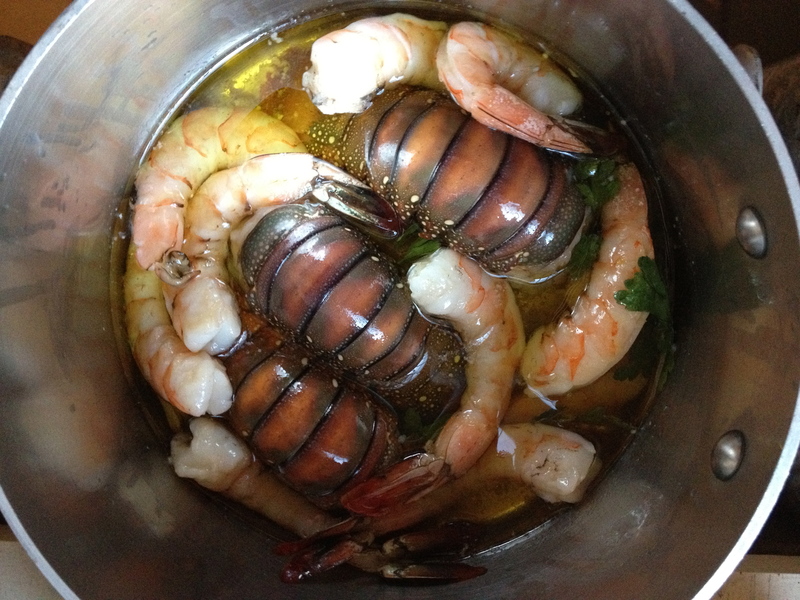 I poached some shrimp and lobster tails. I didn’t use whole live lobsters (phobia) instead, I decided to poach lobster tails in olive oil a la Amanda for Merrills Lobster Diavolo. 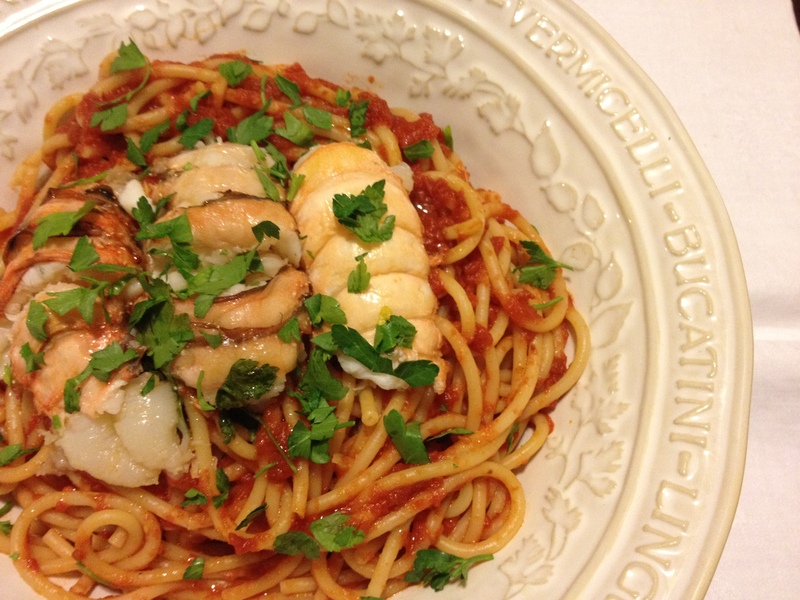 This is a variation of the famous Lobster Fra Diavolo. The dish is finished with fresh mint (my mint went bad and I was only able to salvage a few leaves so I mixed it with parsley to garnish the dish), which in my opinion makes this such a stand out recipe, adding a fresh twist to a classic. I used canned tomatoes instead of the fresh since seasonal fresh tomatoes are not available yet. I poached half of the shrimp in the oven and the other half on the stovetop with the lobster. I set the oven to 200 degrees and it took about 20 minutes. Both methods turned out fantastic. I invited a friend over for dinner and he gave both dishes two thumbs up! Lay the fillets in a shallow, oven-proof casserole dish or skillet, just large enough to hold the fish in a single layer. Cover the fish with a 1/8-inch thick layer of olive oil (a good brand, but not your best), season with a flakey sea salt and any other herb or spice you like, then send it into a 275-degree oven, basting it often, until it’s cooked through. For a 1-inch thick fish fillet, it takes about 30 minutes. 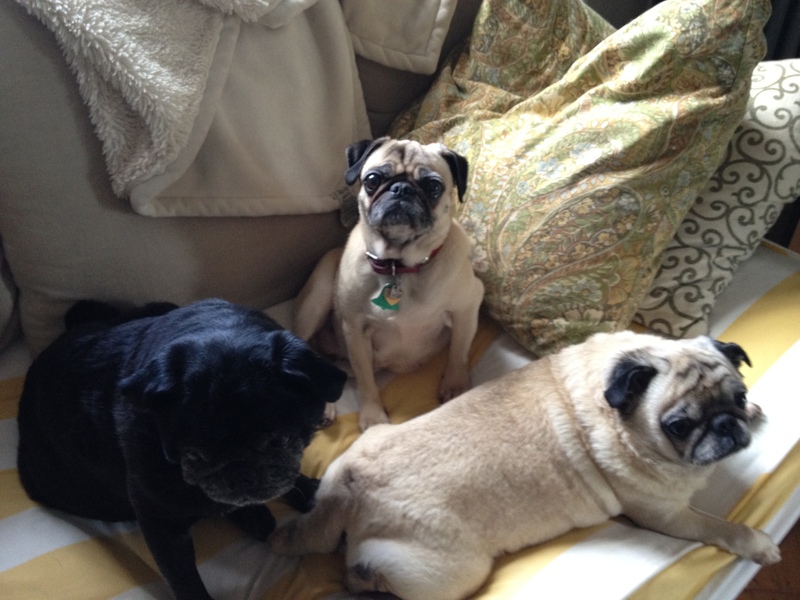 I like to cook them on the stovetop. Place them in a single layer in a saucepan and pour in enough oil to just cover them. My default aromatics are thyme and lightly smashed garlic cloves (see photo above). Then set the pan over low heat, letting it warm enough so that tiny bubbles begin emerging on the sides of the pan, but none of the shellfish are bouncing around. Baste often and you’ll see the shellfish slowly turn opaque and constrict. When they’re cooked properly, they’ll be bouncy and light and not at all tough. Oh I love this! A while back I poached some salmon using the same recipe. Absolutely delicious! Thanks Pat, I just love this method, its so easy and the fish turns out so flavorful. Thank you so much, love the simplicity of the dishes. Hope you like it if you give it a try. This is great! I just can’t bring myself to cook lobster… I need to buy them cooked. I would gobble this lovely dish up in minutes. Thanks so much, I had a hard time even with the tails. I have never nor will I ever be able to cook a live lobster, too emotional I think. The olive oil poaching though is terrific, so easy and delicious. Honestly, love lobster to eat but making it freaks me out. 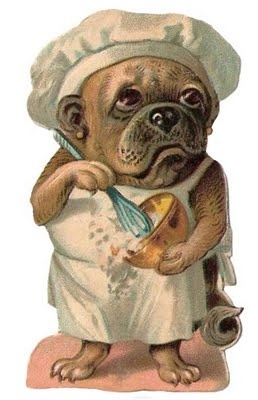 I braved tails only for this recipe and even that creeped me out a bit. Yea you are right maybe if someone else is with it might help. Thank you, it is a wonderful way to poach shell fish and fish. I got the recipe from food52 Amanda Hesser. She is a wonder! Ha, yes where you are too, rain, chilly really dreary day here in NYC. Diavola sounds great right now. Thanks for digging up an old but goody.